Dental Implants vs. Dentures: Which Solution Best Meets Your Needs? Tooth loss is a concern for many adults, giving rise to bigger, more profound oral problems when left unaddressed. Major issues like bone loss, nutritional deficiency and changes in facial structure result from prolonged tooth loss, having an obvious impact on your health and well-being. From traditional dentures to advanced implant solutions, there are a number of options to choose from when looking to restore function and appearance to your smile. If traditional removable appliances leave you worried about the quality of your smile and chewing ability, consider the alternative of permanent, natural-looking dental implants from leading implant dentists, Dr. Kayvon Javid and Dr. Mariam Nadi. From single to multiple missing teeth, individual implants restore biting function, maintain jaw bone health and deliver a natural-looking confident smile without relying on surrounding teeth for support. Implant posts are placed at each missing tooth site and restored with crowns. Ideal candidates are those desiring permanent, highly esthetic, functional tooth replacement. Undergo dental implant surgery and receive a fully functional set of teeth in one convenient visit with same-day dental implants. Ideal candidates are those in need of full arch tooth replacement, undergoing multiple extractions or switching from traditional dentures to implant solutions. Enjoy immediate function, preservation of bone health and a brand new smile when choosing same-day dental implants. Supported by a series of dental implants placed within the jaw bone, implant supported dentures afford a stable, secure bite and winning smile. Benefits include greater eating enjoyment with an open palate design, maintenance of bone quality, and the option of fixed or removable denture appliances. Implant supported dentures are ideal for patients looking to switch from traditional dentures to more long-term tooth replacement. Convenient and economical, traditional removable dentures rest on top of the gums and are often held in place with a special paste or adhesive. Traditional dentures may be an ideal transitional option while waiting for implant sites to heal or for those seeking temporary tooth replacement. 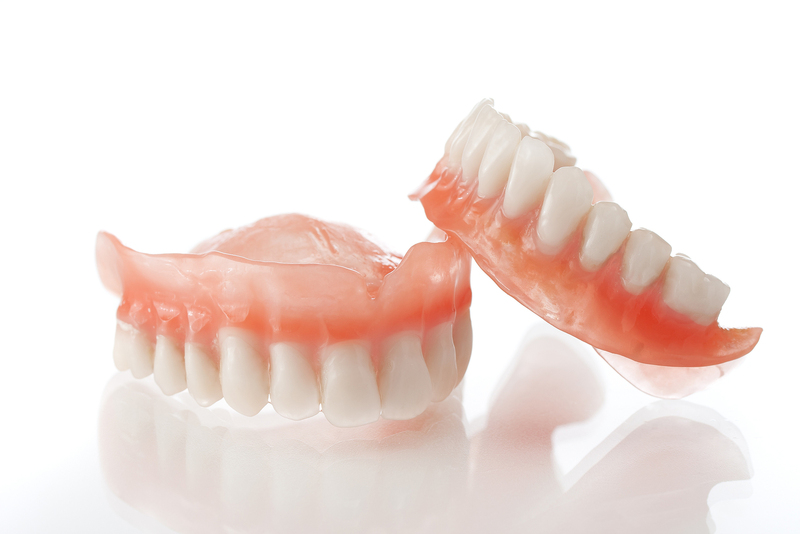 Benefits of wearing traditional dentures include easy removal for oral hygiene and during sleep. As leaders in implant solutions, Drs. Javid and Nadi understand that choosing the right tooth replacement option can be overwhelming. Before beginning any course of treatment, they conduct a personalized consultation to learn about your smile goals, understand your oral conditions, and discuss your options for better oral health. Drs. Javid and Nadi have amassed years of extensive training and experience in replacing missing teeth, have completed more than 1,000 hours of implant dentistry education and are members of professional dental implant associations, most notably the International Congress of Oral Implantologists. For tooth replacement at the hands of an expert, visit Drs. Javid and Nadi for modern dental solutions.